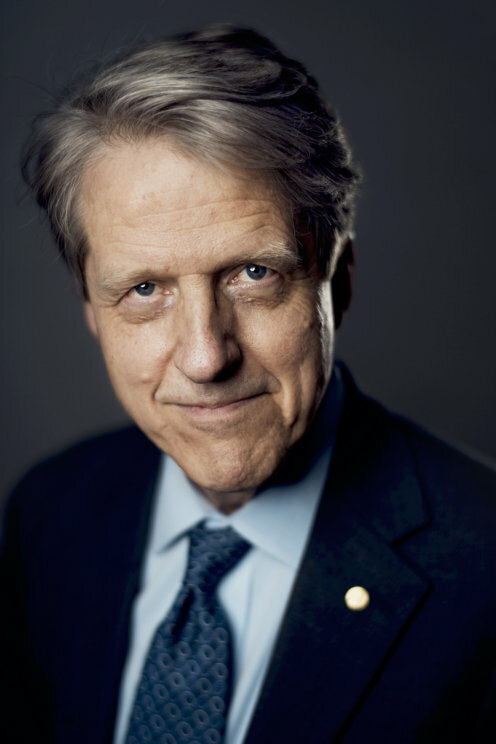 Robert Shiller was born in Detroit, Michigan in the United States. His father was an engineer. After studying at Kalamazoo College in Michigan and the University of Michigan in Ann Arbor, he moved to the Massachusetts Institute of Technology in Cambridge, where he received his Ph.D. in 1972. Robert Shiller has worked at the University of Pennsylvania, the University of Minnesota, London School of Economics, and the US National Bureau of Economic Research. He has also been associated with Yale University in New Haven, Connecticut, since 1982. Robert Shiller is married with two children. For many of us, the rise and fall of stock prices symbolizes economic development. In the 1960s, Eugene Fama demonstrated that stock price movements are impossible to predict in the short-term. In the early 1980s, however, Robert Shiller discovered that stock prices can be predicted over a longer period, such as over the course of several years. In contrast to the dominant perception, stock prices fluctuated much more than corporate dividends. Robert Shiller's conclusion was therefore that the market is inefficient.